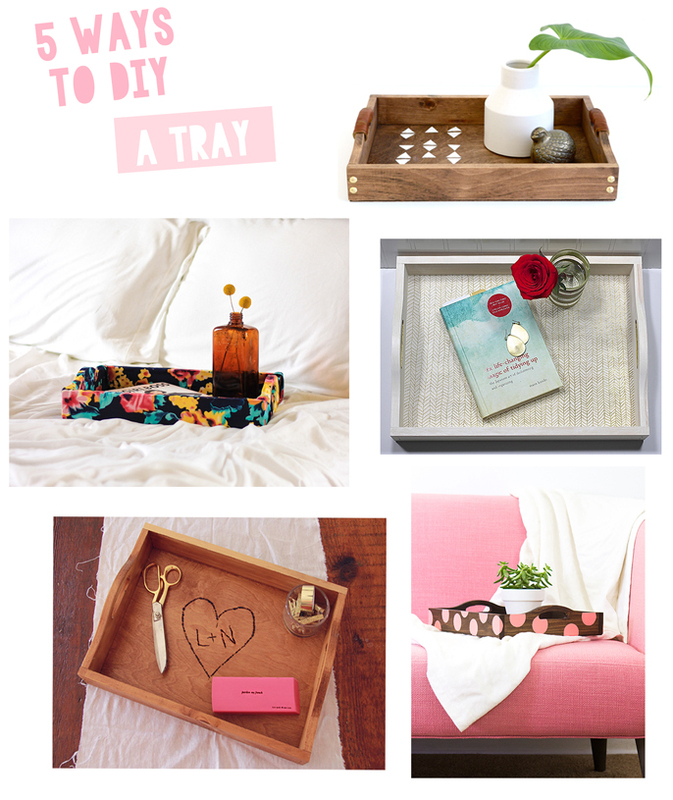 DIY Crush: Five Ways to DIY a Tray! Jeran at Oleander and Palm painted her signature geometric shapes and added leather trim and gold accent. Rachel over on The Crafted Life covered her wood tray in a beautiful fabric. MJ at Pars Caeli created an intricate design only using a Sharpie! I went with wood burning. Any chance I get to use my wood burning tool, I go for it! Sarah at Sarah Hearts went with her signature polka dots (I love the pink! ;). Hope you enjoy the new series! We meet in a week to decide the next item to DIY!